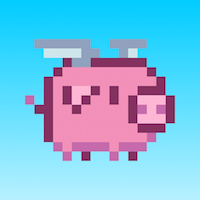 Hungry Hugo is a procedurally generated vertical platformer about a winged pig who dreams of flying higher than any swine before him. Hazards escalate the higher Hugo flies, and his hunger is insatiable. How high can you fly? 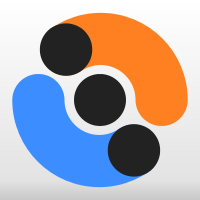 Focus is my first published mobile game. It is a simple follow the letter game that tests your visual reflexes. It made as part of #1GAM, 2014. Paints is a simple finger painting app for the iPad. In addition to free-form, multi-touch compatible finger painting, it has a variety of tools including stamps, lines, curves, eraser, color picker, and photo import/export. 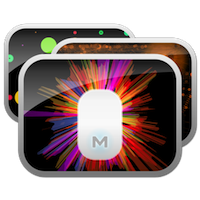 Mousterpiece for Mac creates abstact desktop backgrounds while you work using your mouse/trackpad activity. 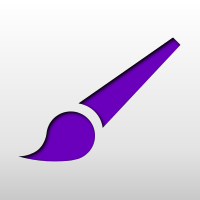 There are various controls for editing colors and themes. Save your art as high resolution desktop backgrounds. Need support for one of my apps? Perhaps you just want to give me a nice complement? Need to chat about something? Send me a message using yonder form and I'll get back to you. ©2009-2019 Austin Russell. iOS, iPad, and Mac are trademarks of Apple Inc.